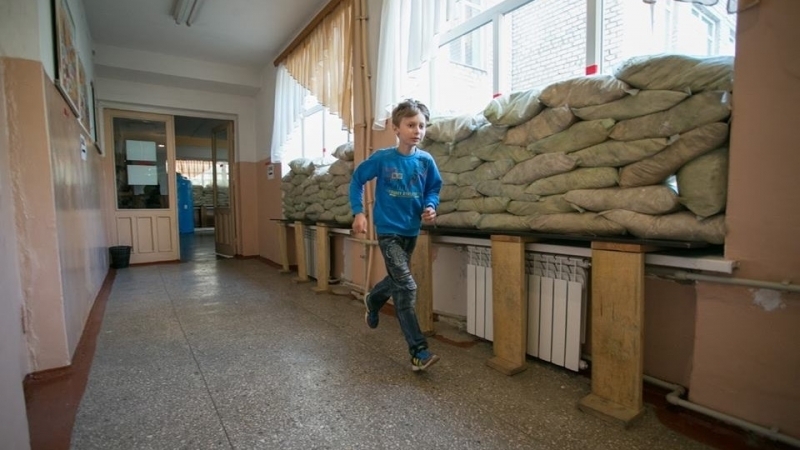 Over the four years of the war, more than 700 schools in the Luhansk and Donetsk regions were damaged or destroyed in the Donbas because of the shelling. The corresponding information was provided on the page of the United Nations Children's Fund UNICEF in Facebook on May 25. Reportedly, during this academic year only 19 schools were damaged because of the bombardment. UNICEF stresses that 6 such cases have been recorded just this May. Previously, militants shelled the city of Toretsk in the Donetsk region from artillery. The buildings of anti-tuberculosis and psycho-neurological dispensaries were damaged.13 patients and three stuff members, who were in the hospital at the time of the shelling, were not injured. The roof and windows of the buildings are damaged, and a gas pipe is broken.